1 ChefSteps Joule Review – A Precision Cooker Worth Buying? 1.1 So How Does It Work? 2.1 What Can You Cook With It? ChefSteps is a well-known brand of sous vide cookers for both cooking professionals and amateurs. Many years ago, it was mainly used by restaurants and other industry professionals. The immersion circulators were big, bulky, industrial-level machines that cooked food in large batches. Several years later, there has been a lot of interest about a different type of – the immersion cooker. The immersion cooker allows home cooks to use the sous vide without having to deal with its bulky size and hefty price tag. These days, there are precision cookers that are reasonably priced and home cook-friendly. ChefSteps Joule Review – A Precision Cooker Worth Buying? 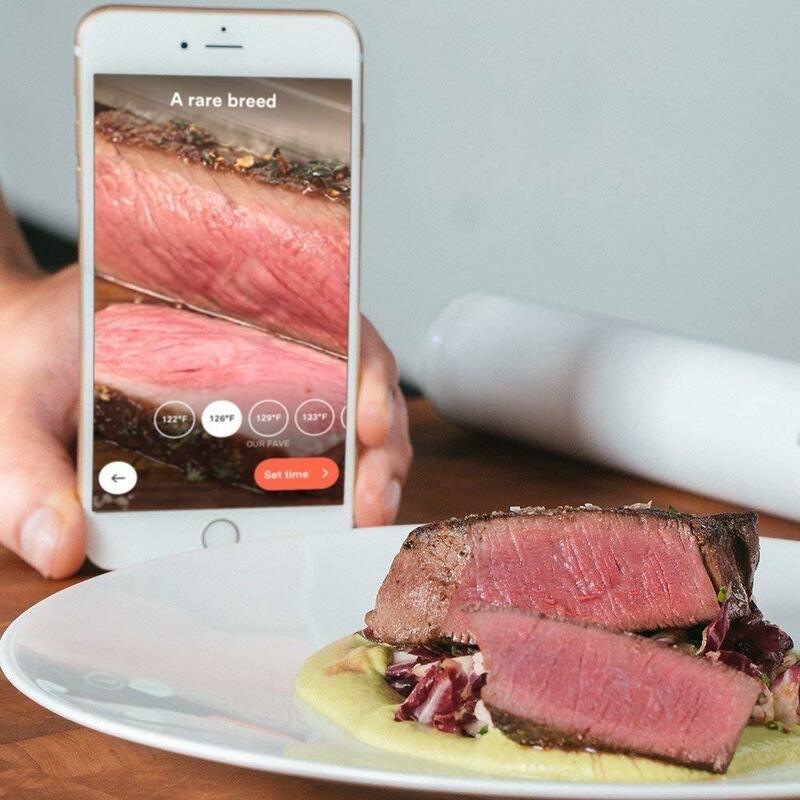 At the time of the ChefSteps’s release, it was one of the hotly anticipated immersion circulator models because it promised a lot of things, which inevitably intrigued cooking enthusiasts. In the sections below, I will share with you some of the information I gathered and my personal experience with the Joule. Learn about its pros and cons, and why I may or may not recommend it for everyone. Strictly speaking, a sous vide cooker should be able to do a very simple task, and that is to heat up a certain amount of water over a predetermined amount of time. The precision cooker can do all those things and then some. 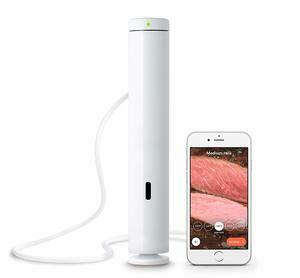 The Joule is one of the latest immersion circulator models to have the Bluetooth, Wi-Fi and app feature. You can choose whether you prefer the Bluetooth or W-Fi option, and then control everything through the app. All you need to do is to create a ChefSteps account, plug in your details and setup the cooker. If it all seems so simple, it is because it is. You can access a variety of recipes and information through the app! Early designs of the sous vide were much bulkier and heavier, mostly because it was restaurant grade and came with the water bath which were designed to contain large volumes of water. However, home users do not necessarily need that type of immersion circulator as cooking for the home requires much less water than what a restaurant would require. More updated models look smaller, but essentially perform the same functions as its older and bigger siblings. The immersion cooker is probably the sleekest design that I have seen recently—and I have seen and tried a lot of them! 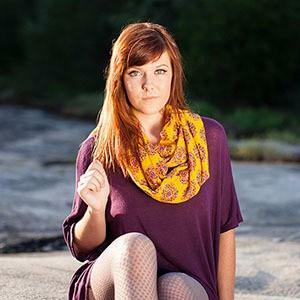 At 11 inches length and 2 inches diameter, it definitely stands out among the rest. Most immersion cookers have that similar cylindrical shape, and would come with a clip to secure its place in a water container. The immersion circulator actually has a magnetic bottom, which allows users to place the immersion cooker at the middle of the water bath—assuming that you will use a metal pot. This is a great innovation because it allows for better water circulation, which results in a more evenly cooked product. 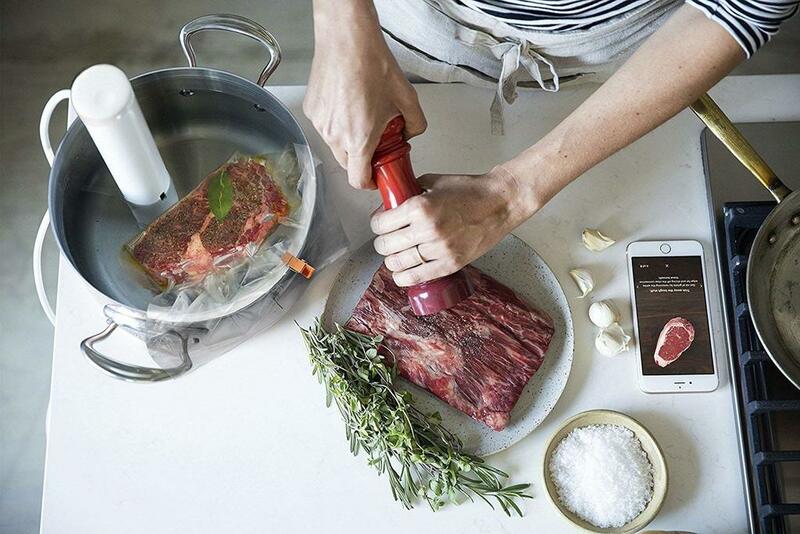 Like the Anova sous vide cooker, the Joule immersion cooker is Bluetooth and Wi-Fi ready and settings can be managed through an app. For some, this can be considered a drawback since it requires you to have certain types of technology in order to fully take advantage of its features. Perhaps it’s because of its smaller surface area, it does not show much with regard to settings and controls. That being said, I do not mind that I have to use the app to use the sous vide. Having all the controls and information in one place streamlines everything. On a personal level, I liked how I did not have to rifle through pages of booklets for recipes and information about the device. Not only was I able to control the settings through the app, I was also able to browse through recipes, get tips and other valuable information that has been helpful to me. As mentioned in the previous section, all settings can be managed via the app. There are two ways to manage the settings: first is to choose from the preset controls based on the food you intend to cook, second is to manually plug in the time and temperature settings that you wish to use. After a couple of weeks of using the ChefSteps Joule, I have not experienced any difficulties or challenges regarding its performance. I tried both using presets and manually setting the controls. I personally prefer and would recommend choosing from preset controls because it makes everything easy for the user as it takes away from the guesswork and minimizes the risk of making mistakes. Everything went smoothly because all the instructions and tips I needed were in the app. Additional information can also be found online if needed. On average, a sous vide cooker will take about 10 minutes to heat up. In the case of the Joule precision cooker, it takes about 15-20 minutes to heat up a 3-5 gallon container of water. Keep in mind that this may change depending on the quantity of water you want to heat up, and the size of the container that you will choose to use. For those who want more exact estimates, there is a time and temperature guide at the ChefSteps website and app, which can be used as a guide. The ChefSteps websites offers a wide selection of precision cooker recipes to try. There are beginner-friendly recipes that new users can try, and more advanced recipes for the seasoned users. Aside from the usual steak and fish recipes, they offer options for turkey, burger and vegetarian fare. I was personally impressed by the meal plan options, as this allows users to maximize the practical features and advantages of the sous vide. To see how the Joule performs against the Anova sous vide cooker you’ll have to click here for our thorough buying guide and my quest to find the best sous vide cooker on the market. You can see there how they all stack against each other and whether the Joule can outperform the Anova and the Wancle immersion circulators. The Joule is a new player in the market of precision cookers, but it does not disappoint. Throughout my experience with using the Joule, I found that it was thoughtfully designed. It took into consideration the home users and beginners, which is why it is very sleek, easy to clean and store. All information about the Joule can be accessed via the app and the website. They also offer classes to help users to become more comfortable with using the Joule. In these classes, they will be able to explore the advantages of using sous vide, get to know its features and ultimately enjoy using it at home.